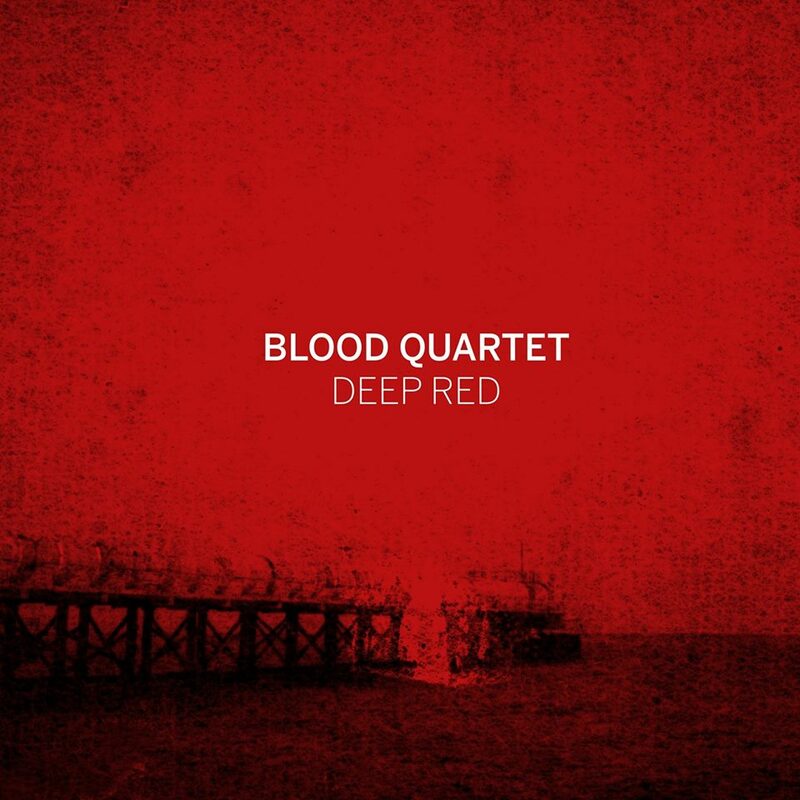 “Deep Red” is the first full-length release from Blood Quartet, the collaboration between long-time Barcelona resident Mark Cunningham and Catalonian noise trio Murnau b. Five tracks are brand new, the other five are re-recorded/remastered versions of the previous cassette & download release “Dark Energy”. The guitar, bass and drums build a series of dark, jagged, post-everything landscapes and the effects-laden trumpet splashes bright yet foreboding colours, mostly red. Sure, the trumpet gives a nod to 70s Miles or maybe Jon Hassell’s experiments but here everything is more stripped back, bare, more honest maybe. Cunningham has talked elsewhere about focusing on “the infinite possibilities inside of one note” which comes through even more so on this second release, and not only with Cunningham’s treated trumpet lines but also the pulsing bass, guitar feedback, and quietly free drumming. The first new piece is “Bloodlines” and rather than read a teaser description, just follow this link and play the clip: https://vimeo.com/185420563 (I’d embed it here but WordPress is being awkward and I wanted to post this today). It contains all the key Blood Quartet ingredients – hypnotic riff, clanging percussion and feedback filigree, and painterly trumpet – and comes with a nicely symbolic video, courtesy of Edoardo A. González. Moving on, “Only Lovers” begins surprisingly delicately but the layers of guitar (two, I think, in the hands of Rueda and Cunningham) and bass soon condense into bold and introspective elegy with an odd Doors-y vibe à la “The End”, with Coll’s non-verbal vocals resonating with Jim Morrison’s Oedipal musings. “Blood House” is all heartbeat and eerie echoes, Cunningham’s trumpet expanding into the space like an unstoppable bloom while Rueda’s diseased feedback gnaws at the scenery. Altered states guaranteed. “Soma” lowers the tempo, as befits the title, and pushes forward a simple but compellingly memorable riff that sends me to the 80s (but the ‘good’ 80s!) before turning into a rough-edged, oxidised trip. Finally, the last new music is “Fly Your Eyes” which brings the pulse rate back up with a whirling dervish dance of yearning, tortured sound as two guitars, bass and drums spin in ever-tighter circles , compressing the tension to a needle’s point. As for the new versions of past material, they’re fresh-sounding, more urgent, denser yet clearer in the details. 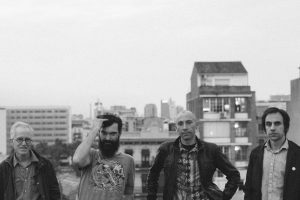 It’s evident that Blood Quartet have been working through these tunes, allowing them to evolve into more intense forms that mesh perfectly with the newer tracks. Maybe I’m a little biased here – I loved the previous release – but this combo of slow, heavy doom rock riffing plus an acoustic ‘jazz’ instrument seems to really do it for me right now. This album is just perfect.